Nothing encompasses what music can be like TOTO. 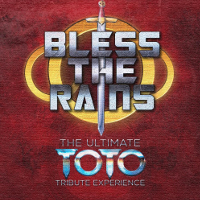 Produced by #1 Billboard Artist/Producer Gabriel Bello, after the success of his internationally touring Tribute show to Stevie Wonder, Natural Wonder, Bless the Rains brings the magic of TOTO to audiences everywhere that can’t get enough of their mega world-wide hits like Rosanna, I won’t hold you back, & Africa. Also included are some deep cuts that the true fans will fawn over. When people hear this band they will be mesmerized, shout, dance, cry & Bless The Rains.